Although the picture quality isn't that good, (awful at times! 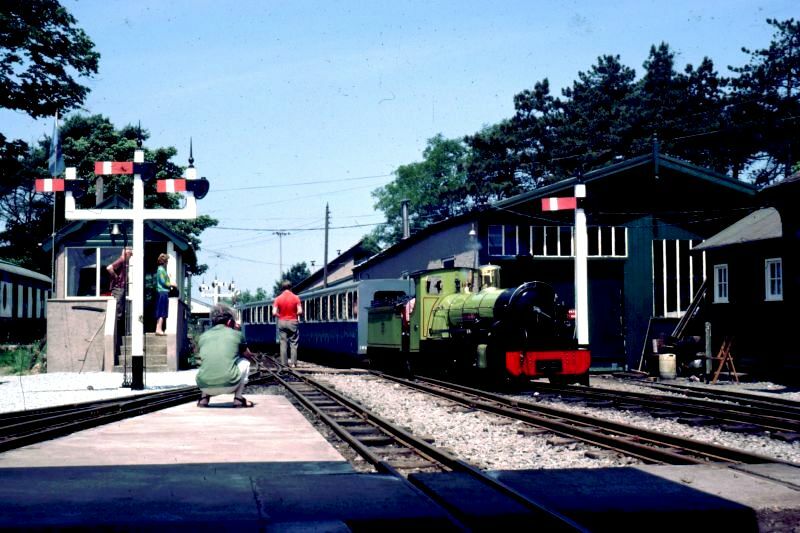 ), they do represent happy summers as a child and teenage railway enthusiast in the 1950's and 1960's. I'm sure many other people of 'certain generations' will also feel a strong sense of nostalgia for a lost age of steam locomotive hauled freight and passenger trains. 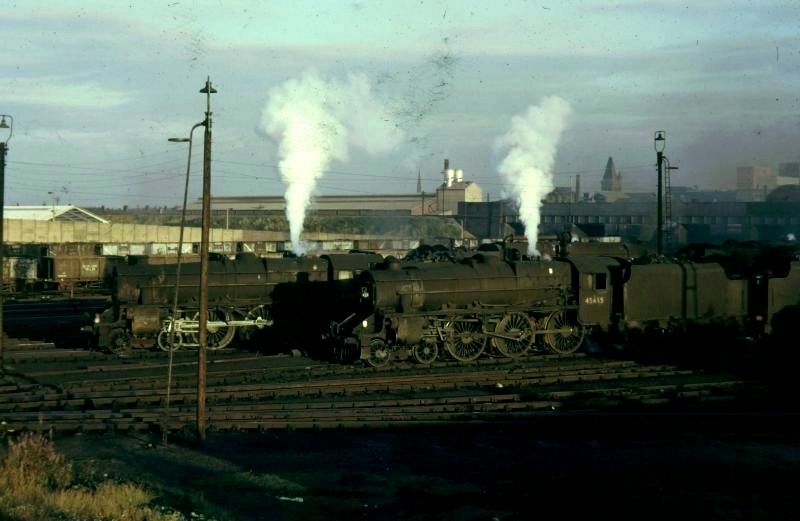 The sad thing is that, apart from the Stanier Black Five 45110 and two ex BR Eastern Region locomotives 61572 and 65462, non of the pictured 1960s steam locomotives survived the scrapyard and cutting up after being withdrawn from service. Many were photographed in the 1960s in the last year/month of their working life! Some shed codes are quoted and dates of manufacture and withdrawn from service prior to being scrapped (broken up!). This web page is the 1st draft of the coloured photographic images of steam locomotives in the 1960s, as I'm still working on the images! 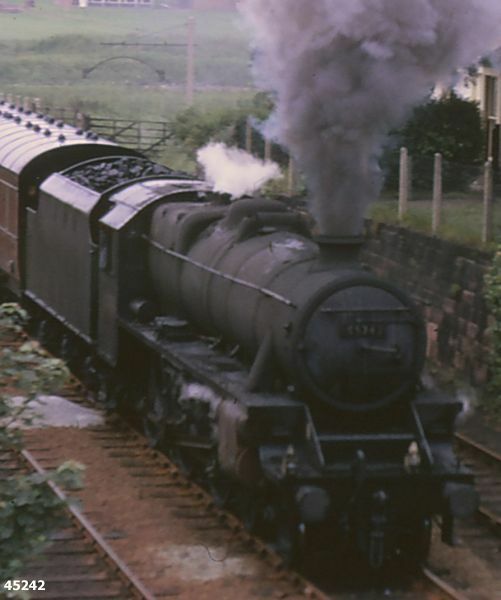 These 1960s pictures - coloured photographs of steam trains 1. to 25. are ex Kodachrome 35mm colour slides and 26. to 32. ex Agfa 35mm colour slides photos. The dates quoted for the photographs maybe 1 month later than the actual date they were taken? 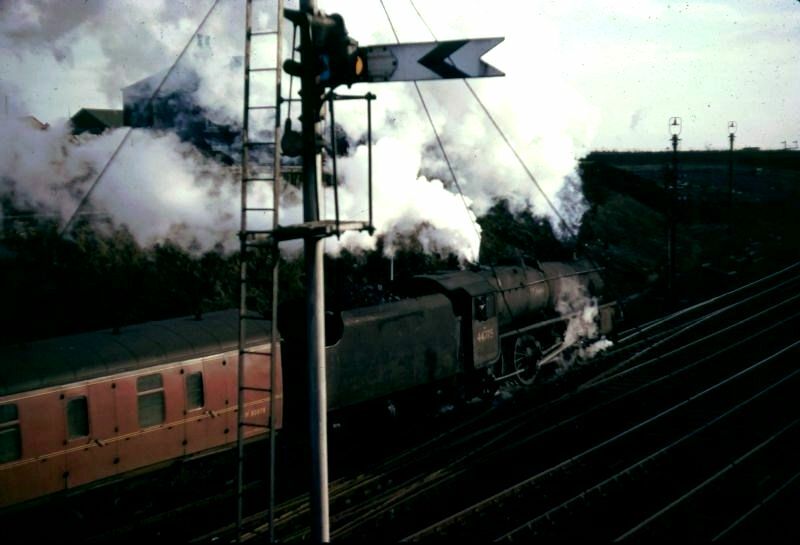 I'm just quoting the month and year on the slides from these (mainly) 1960s images of steam trains. I hope the few images of steam trains in the north-west of England (Lancashire) give a flavour of what it was like to be a trainspotter in that area in th late 1950s and 1960s. Steam in the North-West of England - Part 1 Pictures 1. to 10. Many of them in South Lancashire on the ex LMS lines that became the London Midland Region of British Railways. Stanier Black Five 45242 (from 8A Edge Hill depot) climbing up to Rainhill from Whiston with a Liverpool - Manchester train in 1966. The original old Rainhill station masters house is on the right. Below is the same scene 48 years later in 2014 as the Liverpool - Manchester line via Rainhill is being electrified. The trees have grown up at bit since the 1960s! 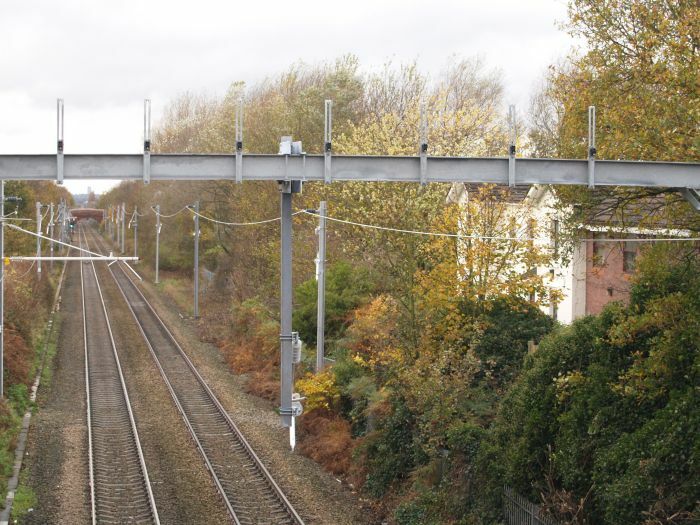 * The electrification of the railway lines from Liverpool Limes Street to Manchester stations was completed in 2017. 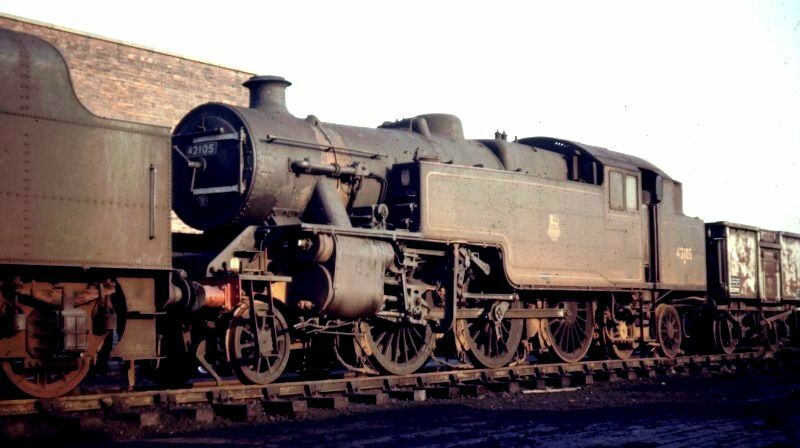 British Railways BR standard 4-6-0 mixed traffic locomotive 73132 at Edge Hill depot, Liverpool, 1962, built at Derby Works in 1956, withdrawn and cut up in 1968. You can see the many roads of the shed, still a very busy yard in the early 1960s. British Railways Ex LMS 0-8-0 heavy freight locomotive 49416 at Edge Hill depot, Liverpool, built at Crewe Works in 1921, withdrawn and cut up in 1962 - last shot anyone took of it? I used to watch these shunting around the Stove Works and sidings at Rainhill. British Railways Ex LMS 0-8-0 heavy freight goods locomotive 49114 at Edge Hill depot, Liverpool, 1962, built in 1910 at Crewe Works, withdrawn and cut up in 1963 - not long to go after this photograph was taken! 1. In the north-west of England, Ivatt Class Mogul 2F/2MT 2-6-0 locomotive 46517 at Springs Branch Locomotive Depot, Wigan (pictured in October 1966) wearing green livery! 46517 was built at Swindon British railways Works in 1952-1953 (1948?). Withdrawn from service in December 1966. 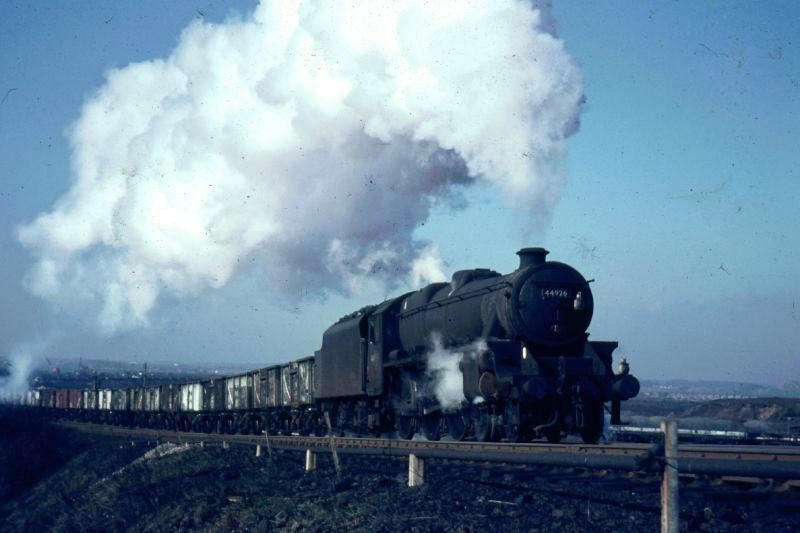 2 Stanier Black Five 4-6-0 near Winnick Junction north of Warrington with an express freight train on the West Coast main-line (pictured in October 1966). 3. 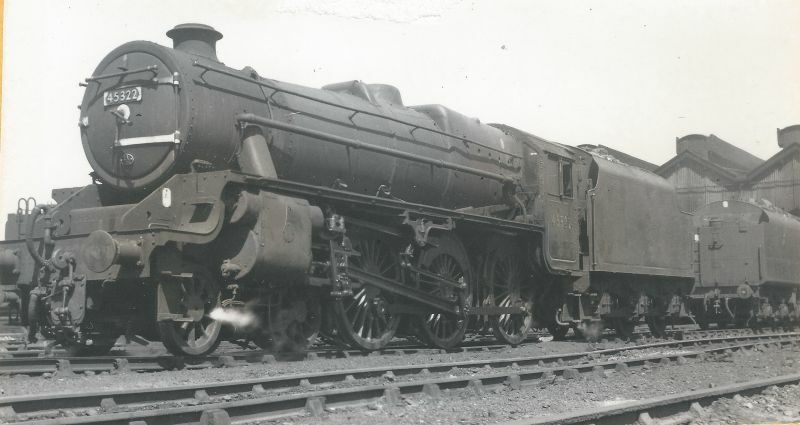 Stanier Black Five 4-6-0's standing in Warrington Dallam Locomotive Depot (pictured in October 1966). On the right is 45415 built in 1937 by Armstrong Whitworth and based at shed 27C Southport in 1948 and finally 26C Bolton? Withdrawn from service in October 1967? 4. 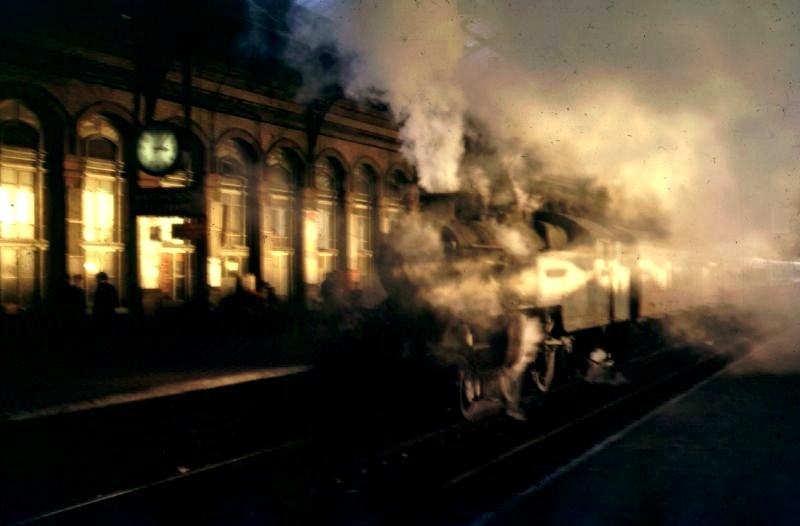 A steamy atmospheric photograph of Stanier 2-6-4T engine waiting in Preston Station with a train for Blackpool (pictured in 1960s). 5. 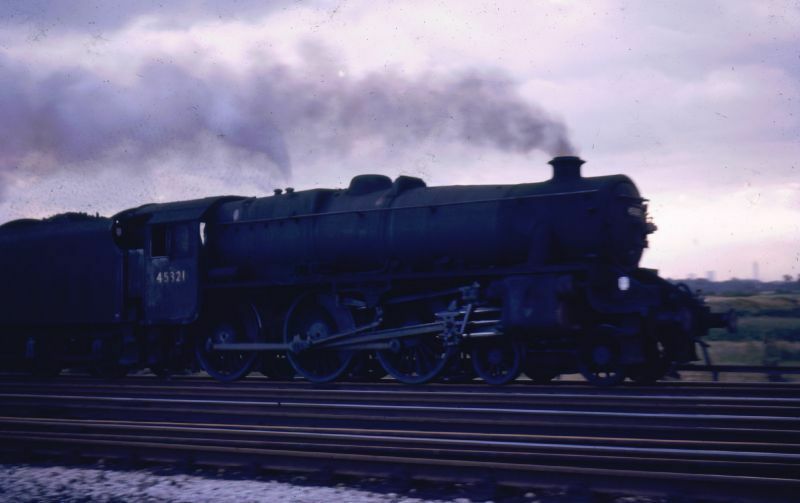 Stanier Black Five 44775 near Wigan with a train for Manchester (pictured in January 1967). 44775 was built at Crewe Works in 1947 and withdrawn from service in October 1967. In 1948 it was based at 20A`Leeds Holbeck depot and finally 68A Carlisle Kingmoor. 6. Black 5 44775 leaving Wigan, passing Springs Branch engine shed (in the distance) with a train for Manchester. 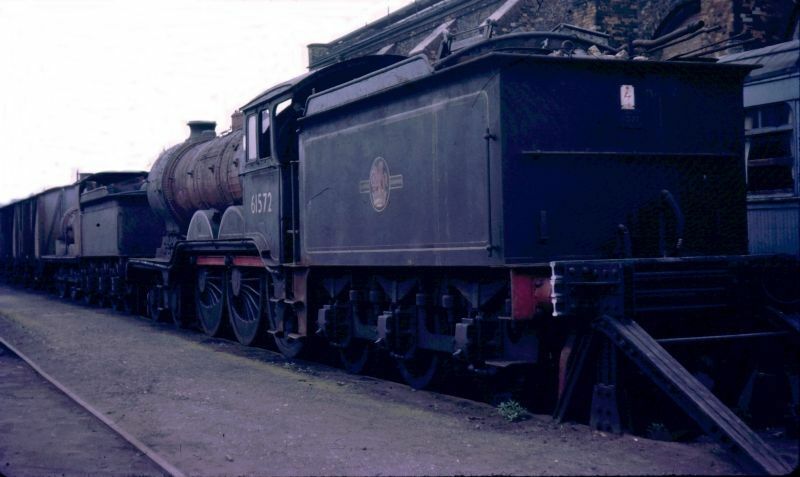 Details on 44775 above under picture 5 (pictured in January 1967). It was withdrawn from service in July 1966? based at locomotive depot 24C Lostock Hall. 8. 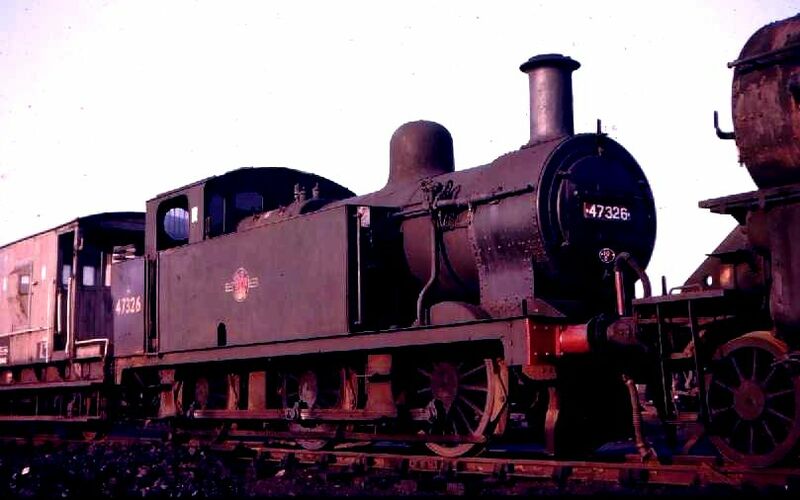 Ivatt Mogul Class 4F 2-6-0 43019 at Lostock Hall (pictured in January 1967). 43019 was built at Horwich Works in 1948 and withdrawn from service in May 1968. Based at shed 24C Lostock Hall, where it is finally photographed. 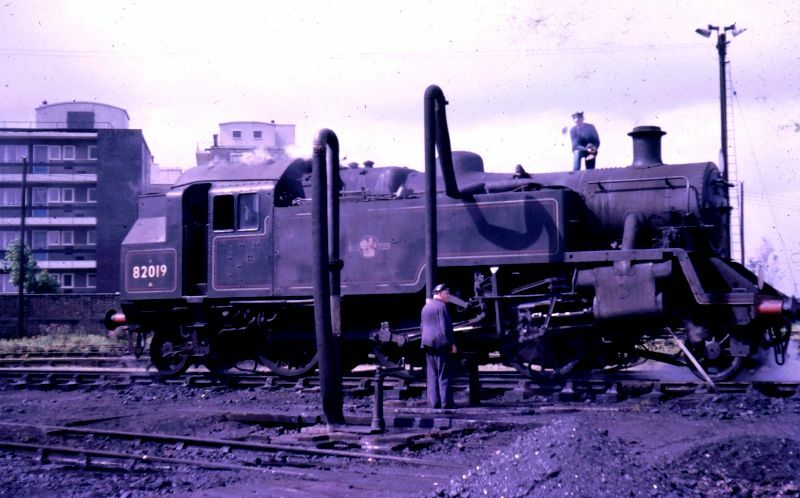 The coal bunker of 3F 'Jinty' 47472 is just showing on the left. 9. 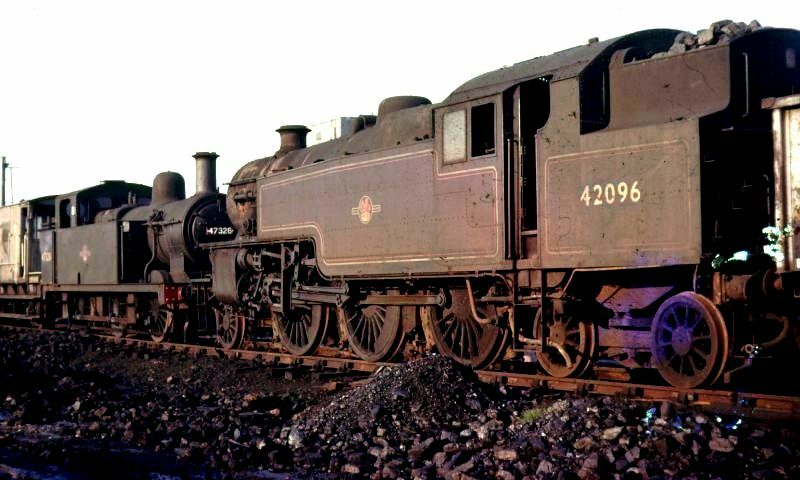 3F 0-6-0 Jinty 47326 and 42096 (pictured in January 1967). 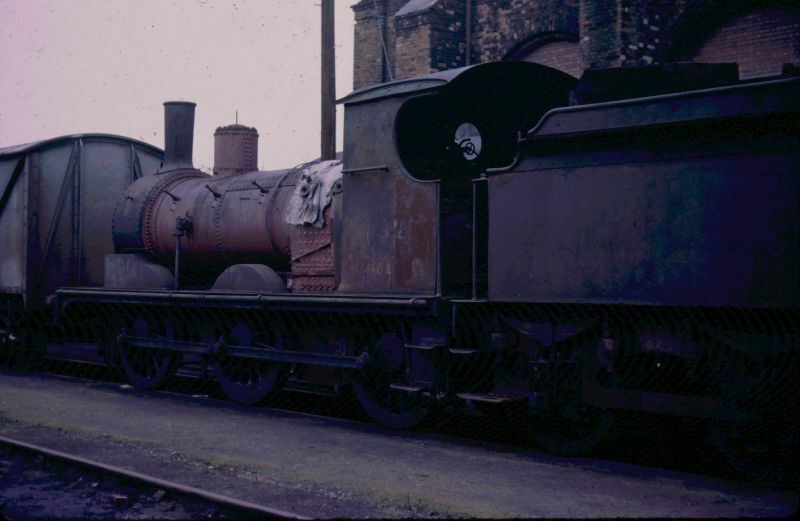 Fairburn LMS 4P 2-6-4T tank engine 42096 at Lostock Hall Depot (January 1967). 42096 was built at Brighton Works in 1950 and withdrawn from service in December 1966 and based at shed 24C Lostock Hall. Details of 47326 below under picture 10. Here seen at Lostock Hall depot near Preston) and withdrawn from service in December 1966. 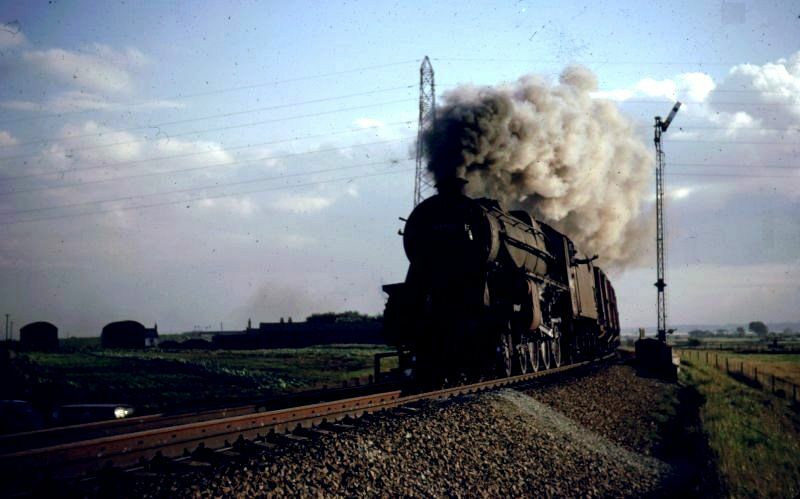 The last days of steam on the Southern Railway Nine Elms and Basingstoke - Pictures 11. to 16. 11. 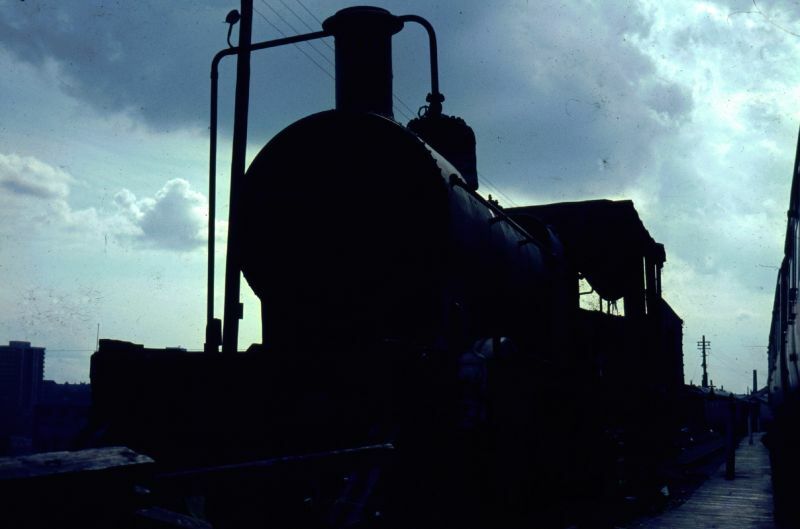 Riddles standard BR 2-6-2T tank engine design 82019 taking on water at Southern Region's Nine Elms loco depot, London, before departing for the last time (pictured in July 1967). 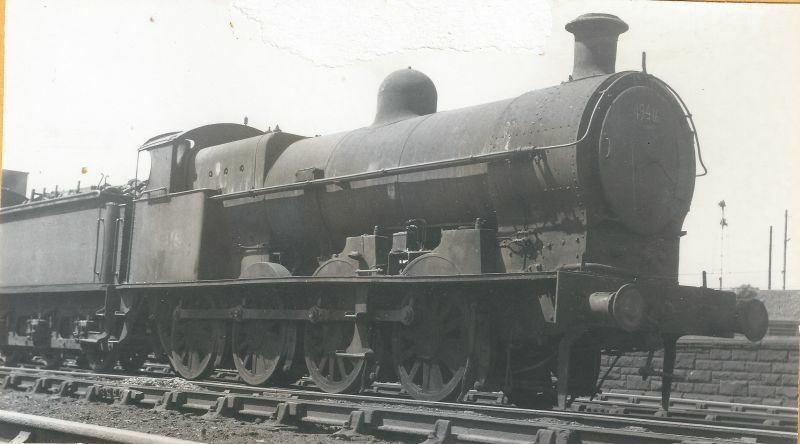 82019 was built at Swindon Works in 1952, initially based at shed 72A Exmouth Junction and then 70A Nine Elms and withdrawn from service in July 1967. These were the last working steam locomotives in the London area, so these are the last picture ever taken of a working (non-preserved) steam locomotives at Nine Elms! 12. 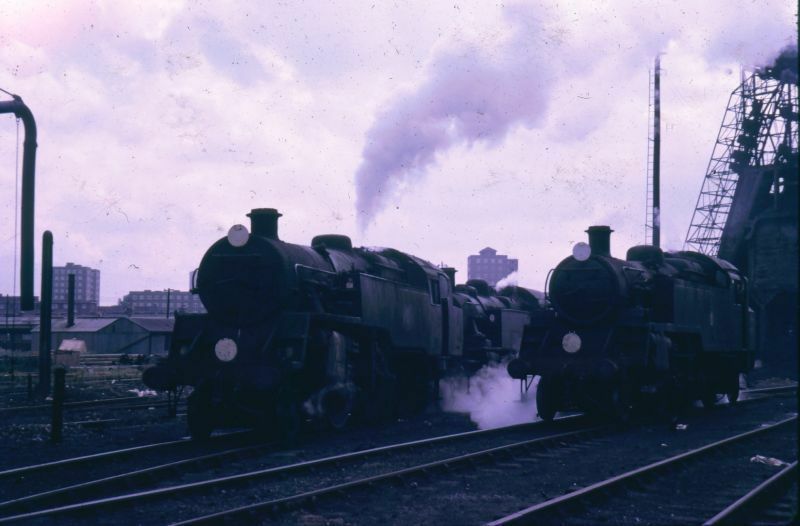 The last three steam engines to leave Nine Elms locomotive depot in London (pictured in July 1967). The great coaling stage is seen on the right. The locomotives are 80152, 82029and 82019, which then moved off to Basingstoke. 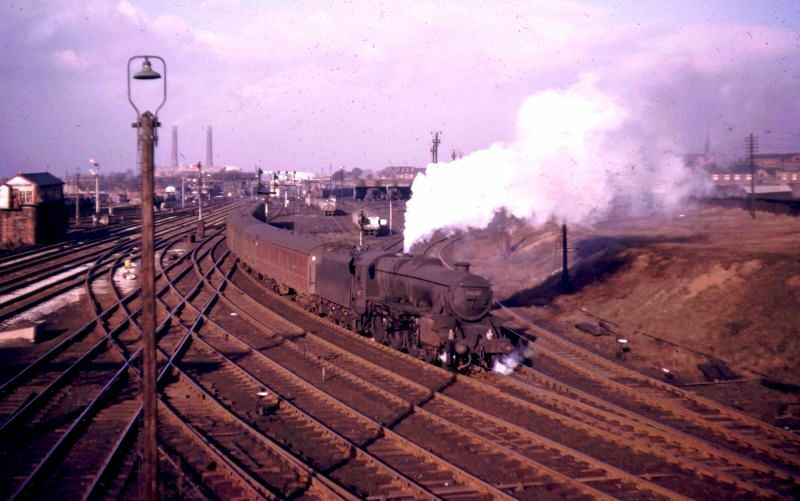 This was the last of BR steam locomotives anywhere in London, surely a historic photograph of steam in the 1960s. I actually caught up with some of them later at Basingstoke. 13. O. V. Bullied 34036 WESTWARD HO! at Basingstoke Station with an express passenger train bound for Waterloo from the West Country, Exeter and Plymouth (pictured in July 1967). 34036 is a Class WCBB (West Country and Battle of Britain) 4-6-2 Southern Region pacific locomotive built 1945-1951? and rebuilt after 1957. 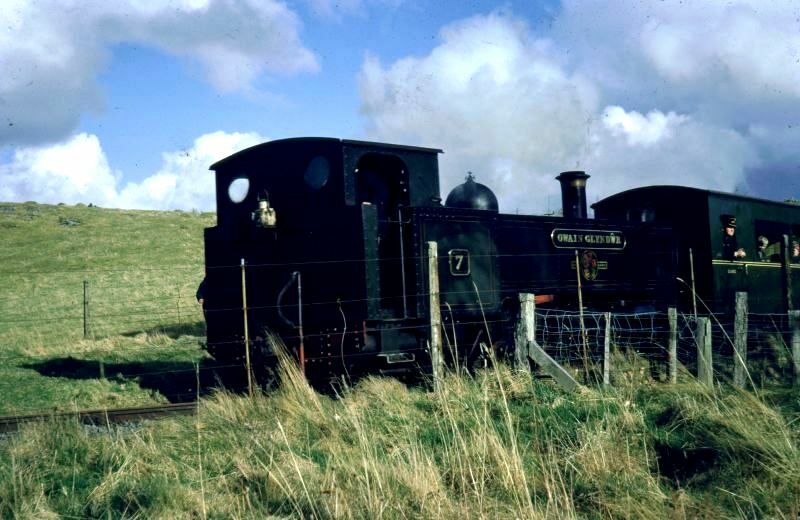 In 1948 it was based at shed 73A Stewart's Lane and withdrawn from service in ? 14. 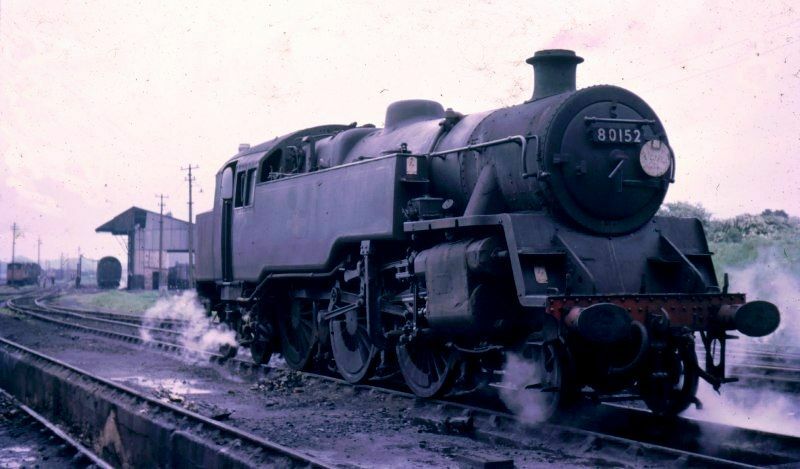 Riddles BR Class 4MT standard 2-6-4 tank engine 80152 (pictured in Basingstoke depot on July 1967). 80152 was built at Brighton Works in 1957 and initially based at depot 75A Brighton and then 71a Eastleigh and finally withdrawn from service in July 1967. 15. 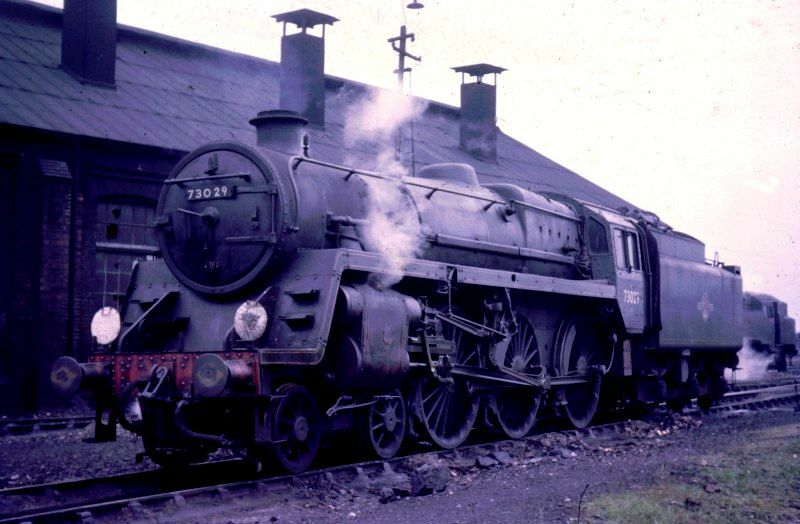 Riddles BR Standard Class 5MT 4-6-0 locomotive 73029 (pictured in Basingstoke depot on July 1967). 73029 was built at Derby Works in 1953 and was based at 28A Blackpool Central (South) and then 70A Nine Elms and withdrawn from service in July 1967. 16. 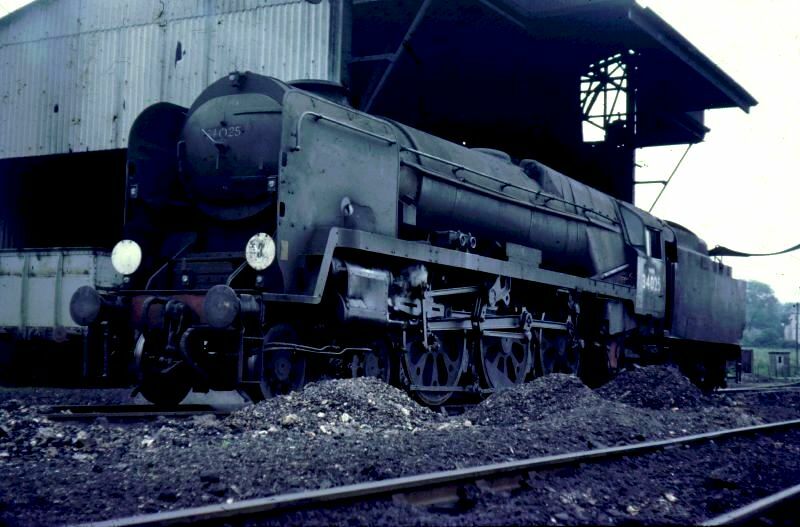 WCBB 4-6-2 Pacific 34025 WHIMPLE (pictured in Basingstoke depot on July 1967 without its nameplate). 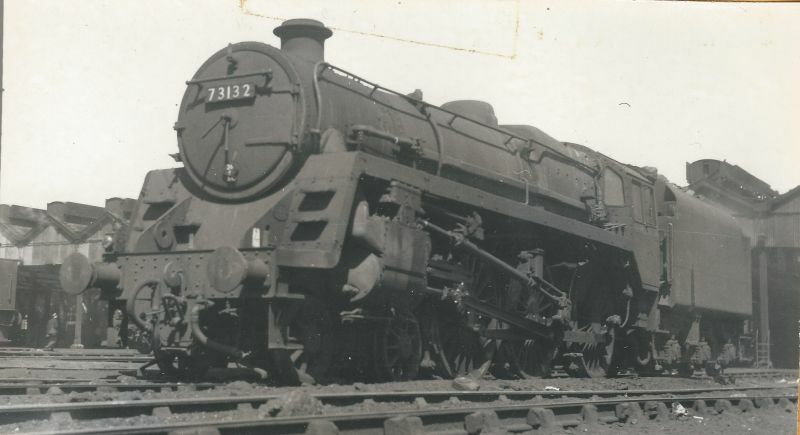 34025 was built at Brighton or Eastleigh Works in 1945-1951? and rebuilt after 1957. It was based at 72A Exmouth Junction in 1948, then ? and withdrawn from service in ? The last of steam trains in the southwest of England. Two stalwarts from East Anglia's steam heritage before their full restoration - Pictures 17. to 20. 17. 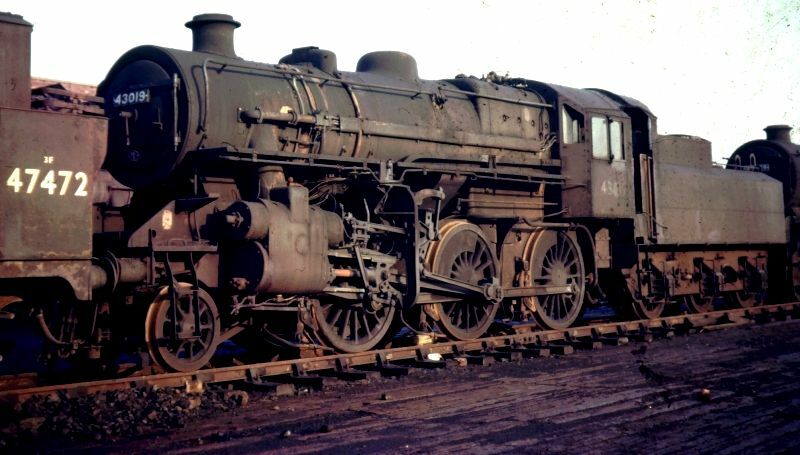 Holden GER design Class B12 (GER Class S69) 4-6-0 locomotive BR 61572 (LNER 8572, GER 1572) at Norwich locomotive depot, withdrawn from service in September 1961 (pictured in July 1967). It was built in 1928 by Beyer Peacock and Company in Gorton Manchester. 18. 61572 at Norwich (pictured in July 1967). 61572 is now fully restored to working order. 19. 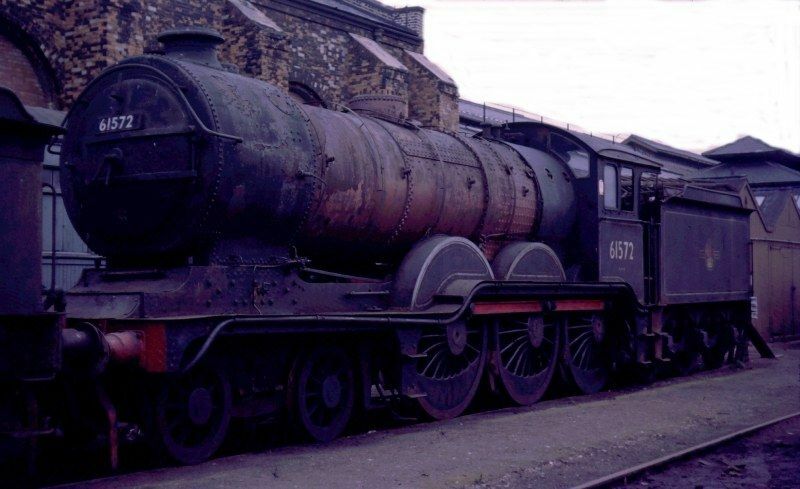 TW Wordsell GER design Class J15 (GER Class Y4) 0-6-0 locomotive 65462 at Norwich (pictured in July 1967). 65462 was built at Stratford Works in 1912 and was based at depot 32C Lowestoft. 20. 65462 at Norwich (pictured in July 1967). 65462 is now fully restored to working order. 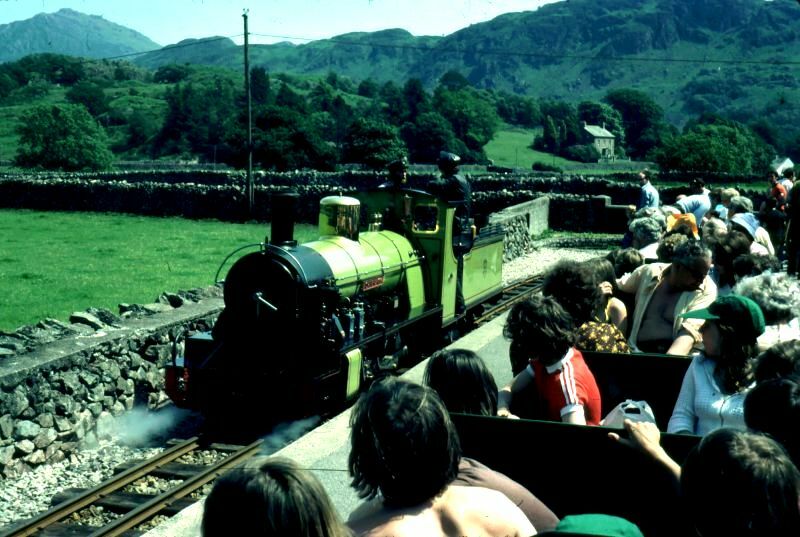 The Ravenglass and Eskdale Railway in the English Lake District - Pictures 21. to 23. The Vale of Rheidol Railway - Picture 24. 24. 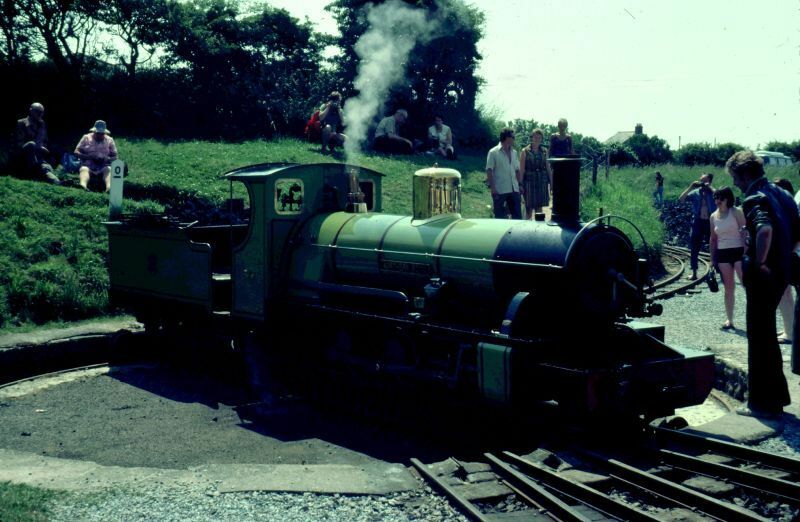 Ex GWR 2-6-2T tank engine 7 OWAIN GLYNDWR (pictured in April 1966 or 1967?) was built for the Vale of Rheidol Railway at Swindon Works in 1923. 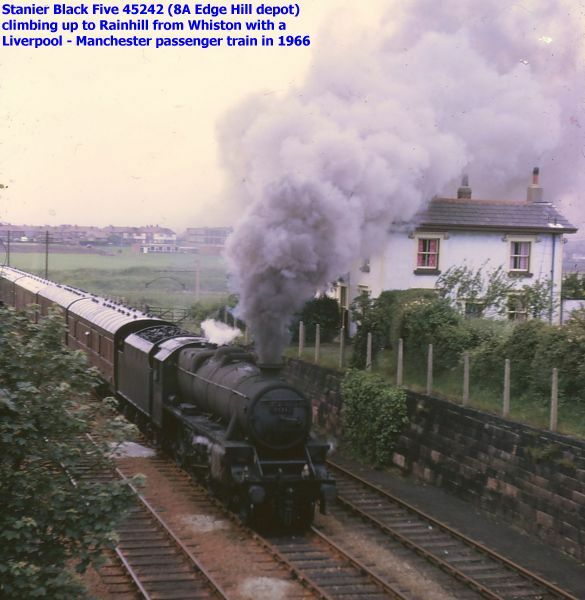 Steam in the North-West of England - Part 2 Pictures 25. to 32. 25. 45321 in action north of Warrington on the North-West Coast mainline (pictured in October 1967). 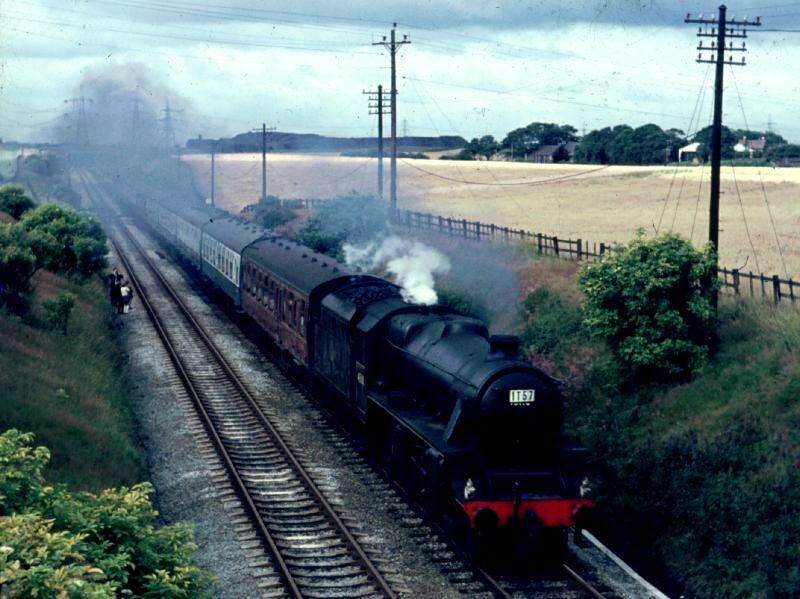 Stanier Black Five 45321 was built by Armstrong Whitworth in 1937 and in 1948 was based at depot 8B Warrington Dallam and then 10C Springs Branch Wigan and withdrawn from service in October 1967. 26. 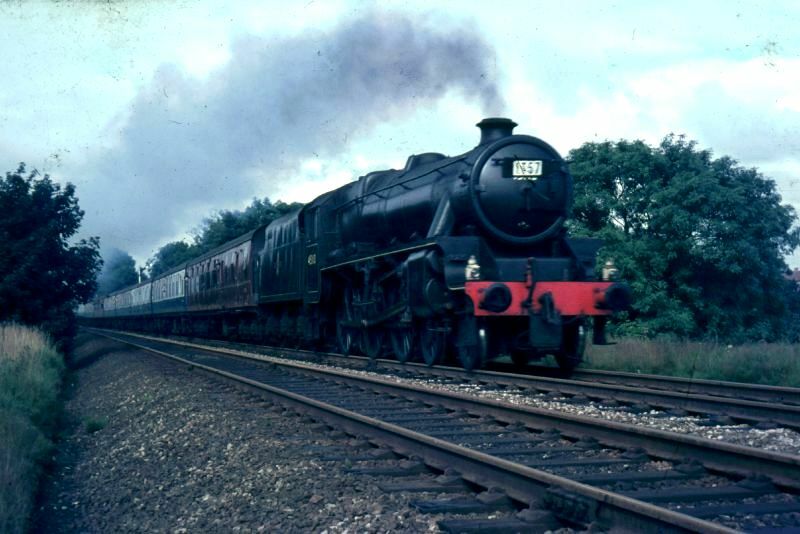 Stanier Black Five 4-6-0 locomotive 45110 hauling a special excursion train 1T57 north of Rainhill on the Liverpool-Manchester railway line pictured in August 1968). LMS 5110 was built at the Vulcan Foundry in 1935 and has been fully restored to working order. 27. 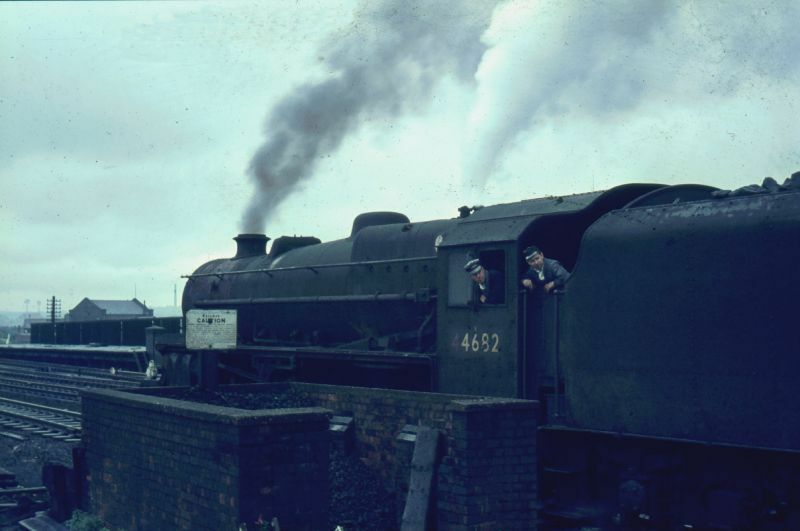 A favourite train-spotting location - a Stanier Black Five 44682 is about to depart north from Wigan North Western Station (pictured in 1967). 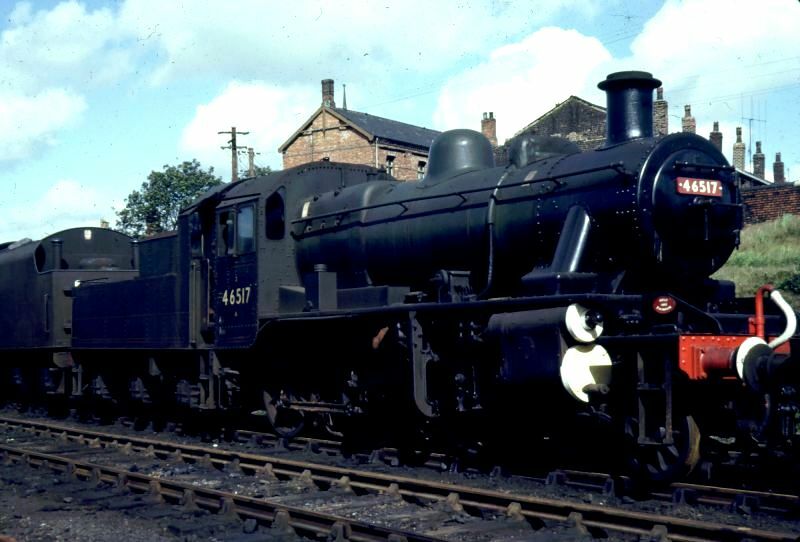 44682 was built at Horwich Locomotive Works in 1950 and based at depot 10A Springs Branch Wigan and withdrawn from service in October 1967. 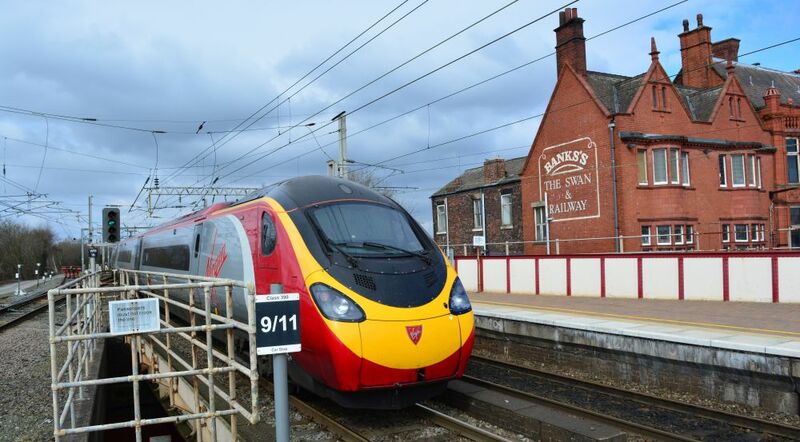 Same scene at Wigan, March 2014, Virgin express train from London Euston to Glasgow Central. 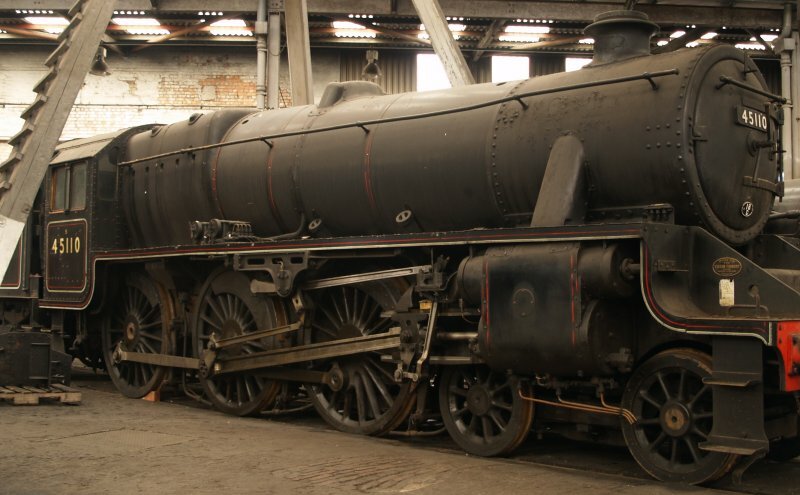 Stanier Black Five 4-6-0 Ex BR 45110 at Barrow Hill Roundhouse in 2009, one of 'the few' survivors from the 1960s! 29. 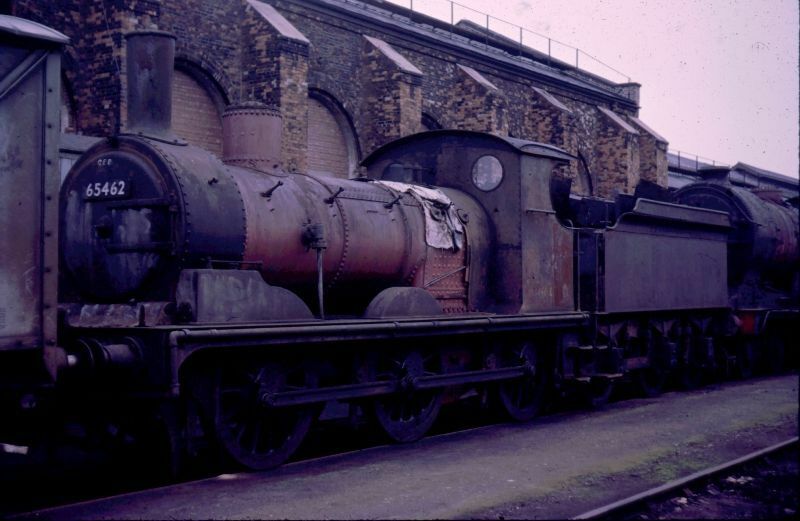 An old locomotive used as a stationary boiler at Newton Heath locomotive depot, Manchester (pictured in 1967). 30. 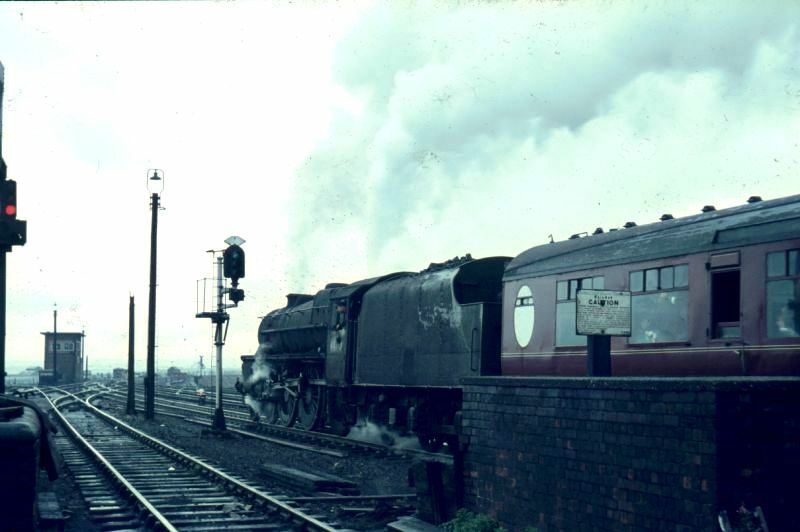 Unknown Stanier Black 5 departing north from Wigan North Western Station (pictured in 1967). Was it 44682 from picture 27? 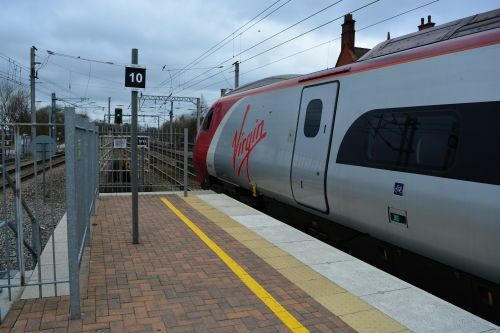 Same Wigan NW scene as above in March 2014, Virgin train departing to Glasgow, signal box gone, electrification wires in place, but electric signal in same place! 31. 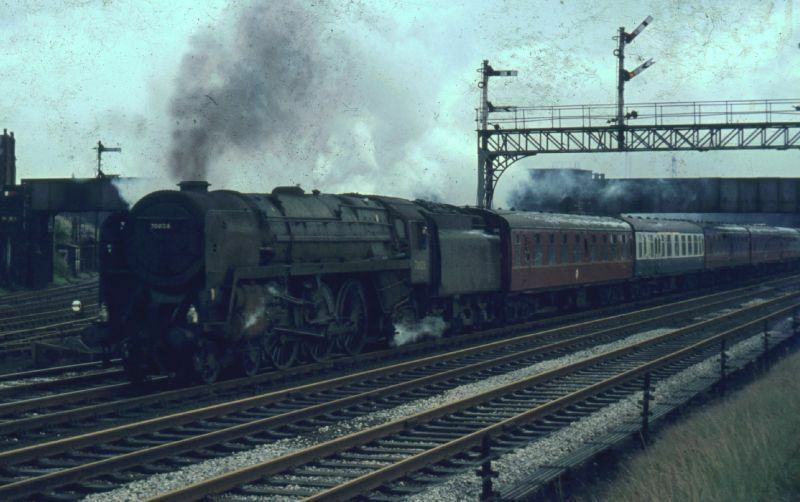 British Railways 'Britannia' Class 4-6-2 Pacific 70029 SHOOTING STAR working hard on the West Coast mainline near Wigan hauling an express passenger train (pictured in 1967). 70029 was built at Crewe Works in 1952 and initially based at depot 86C Cardiff Canton and ended up at 68A Carlisle Kingmoor and withdrawn from service in October 1967. The dilapidated state of the locomotive matches the poor quality of the 1960s fungus ridden slide! 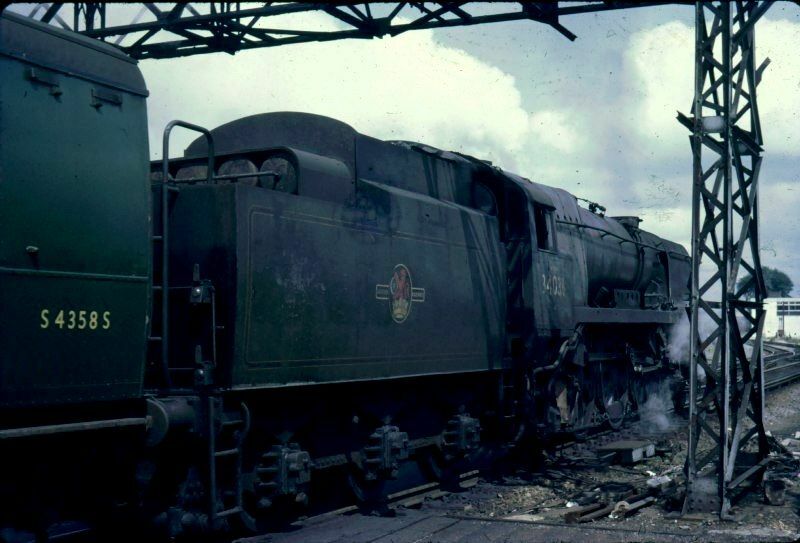 As you can see from the photographs the engines were allowed to deteriorate and looked very unkempt! 32. One of my best action shots from the 1960s - A Stanier Black 5 Class 5MT locomotive 44926 working hard with a freight train near Wigan (pictured in 1967). 44926 was built at Crewe Works in 1946 and in 1948 based at loco shed 27C Southport and later 8A Edge Hill, Liverpool and withdrawn from service in April 1968. I think the scene is south of springs Branch Depot where a freight line crossed over the Northwest Mainline. Enter specific words e.g. locomotive, train, station, location, anything of railway interest!